By Dan Ambrose: HBO analyst Max Kellerman sees WBC middleweight champion Julio Cesar Chavez Jr. (46-0-1, 32 KO’s) as having a good chance of pulling off an upset to defeat Sergio Martinez (49-2-2, 28 KO’s) on September 15th in Las Vegas, Nevada. Kellerman is right. 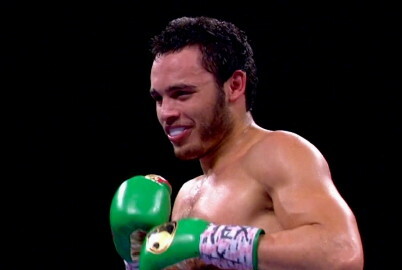 Chavez Jr. does seem to be nearing his peak, if he hasn’t already arrived. It’s hard to imagine him getting any better than he is because he’s looking heavier and heavier in between fights now and that’s usually a signal that his metabolism is slowing down. The reason this is important is because it’s going to make it really tough in the near future for Chavez Jr. to make the middleweight limit of 160 pounds. Once Chavez Jr. can no longer make weight for the middleweight division, he’ll have to move up to super middleweight where the fighters are a lot faster, stronger, and heavier. Chavez Jr’s weight advantage that he’s been enjoying against smaller middleweights will disappear overnight and he’ll have to figure out a new way to be competitive. He won’t be able to rely on just being the bigger guy to win his fights for him, because he’ll be average sized at super middleweight. A lot of the good fighters are 6’2″ compared to the 6’0″ Chavez Jr, and they all pretty much boil down from about 180 lbs to fight at 168. This means that unless Chavez Jr. is able to bulk up with a ton of muscles to get to a solid 195 or so, he won’t have much advantage when fighting at super middleweight. He would have to rehydrate up to 200 lbs to get the same kind of advantage that he’s now enjoying at middleweight, and I don’t think Chavez Jr. can put much more muscle on his frame without becoming painfully slow. Chavez Jr. is basically a super middleweight at this stage in his career that has an ability to drop down from 180 lbs to fight in the middleweight division. Like most super middleweights, he’s coming down from right about 180 or a little more than that to make weight. The difference here is that Chavez Jr. has to really boil down to make his weight, because he goes right past the 168 limit for super middleweight to get down to 160 lbs where the smaller fighters are. It definitely gives Chavez Jr and advantage, but for how much longer? His body isn’t going to let him do this sooner or later and he’s already looking terrible in making weight.